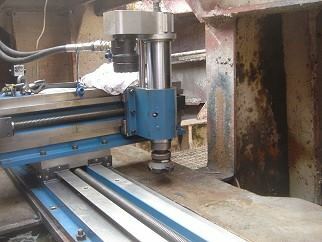 With alignment problems, on-site machining is often a solution. As the complete solution specialists, SKF Solution Factory - Marine Services has the right experience and equipment to fulfil a large range of on-site machining needs. 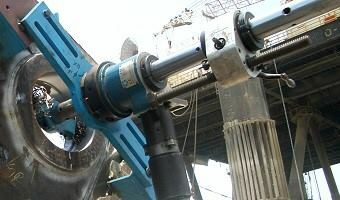 On-site machining is not only convenient, but often unavoidable when dealing with large equipment, either because it is too large, or too time-consuming to transport. SKF Solution Factory - Marine Services has extensive experience both with machining on new installations, as well as performing challenging repairs around the globe, when and where it is required. It is also possible to rent some of our equipment. To see what equipment is available for rental, please follow this link. A good foundation is crucial for optimal installation of your equipment. As alignment specialists, SKF Solution Factory - Marine Services often encounters alignment failures related to the mounting of equipment on bad foundations. As we strive to offer complete solutions, we perform on-site milling & grinding of any foundation, for new build and repair jobs, alone or in combination with alignment solutions. Flange faces are required to have a specific roughness so that the surface is compatible with the gasket in order to provide a high quality seal. SKF Solution Factory - Marine Services has both the knowledge and the equipment to prepare or repair flange faces in order to optimize the quality of the seal. 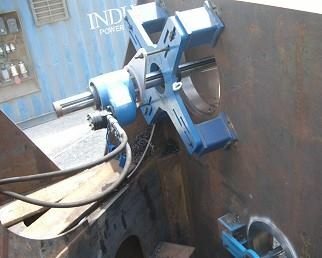 In order to successfully re-align installations, sometimes line boring is required. As part of the total alignment solutions, SKF Solution Factory - Marine Services is capable of performing the line boring of various installations.